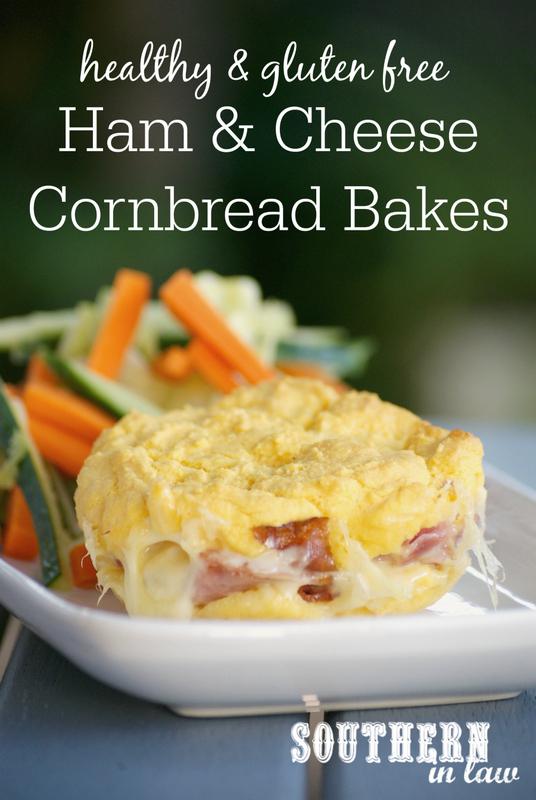 I almost wasn't going to share this recipe because the photos are seriously ugly. 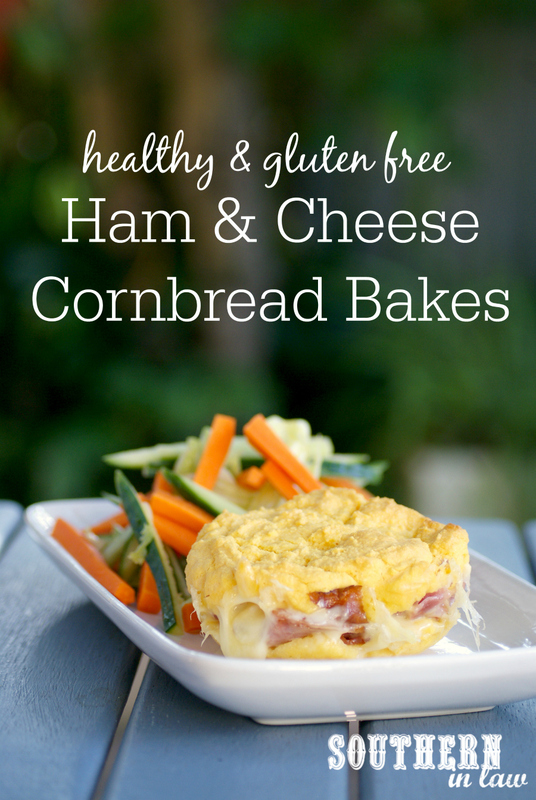 Almost, but you see, these Ham and Cheese Cornbread Bakes are too good not to share. We've been making them for the last three years and somehow I haven't shared them with you until just now. But you know what that means? That just means you need to make them ASAP to make up for lost time. You see, these may be seriously ugly but they're all sorts of delicious. 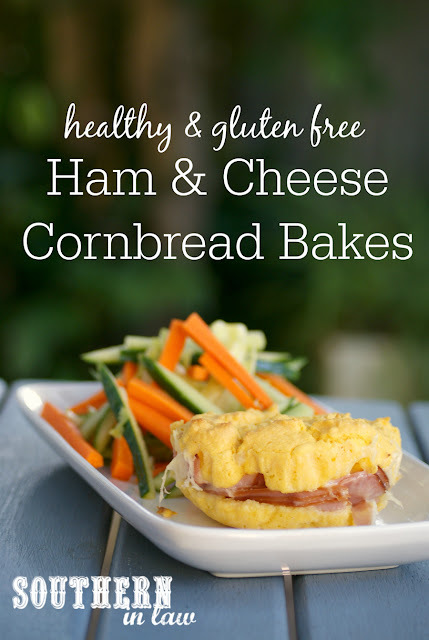 Outside is soft and fluffy cornbread which is deliciously crunchy on top, however, inside is melty gooey cheese, ham and just a little mayonnaise or aioli for a flavour sensation. It's a recipe we randomly came up with one day after talking about stuffed cornbread and it's one we've been making as a quick but delicious light dinner ever since. Served up with salad or veggies, it's a delicious lunch or dinner option that I'm sure you'll be making over and over again too! Preheat your oven to 200C/390. Grease and/or line two single serve ramekins or deep baking dishes and set aside. In a small mixing bowl, combine all of your ingredients. Pour 1/4 of your cornbread mix into the bottom of your two ramekins. Add your filling ingredients and pour another 1/4 of mix on top of each of your ramekins, spreading the cornbread mix to cover the top. Bake for ~15-20 minutes or until your cornbread is crunchy and golden and the inside is melted and gooey. Carefully remove your bakes from their tins and enjoy! But tell me, do you have a favourite ugly but delicious meal or food? Do you care what your food looks like or are you all about the taste?